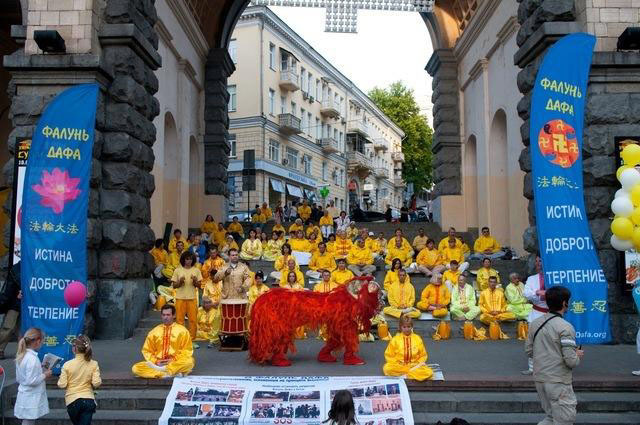 Falun Gong practitioners from more than ten countries, including Russia, Belarus, Moldova and Latvia, gathered in Kiev, the capital of Ukraine, to celebrate the 20th anniversary of Falun Dafa's public introduction and held an experience sharing conference from May 25 to May 27, 2012. 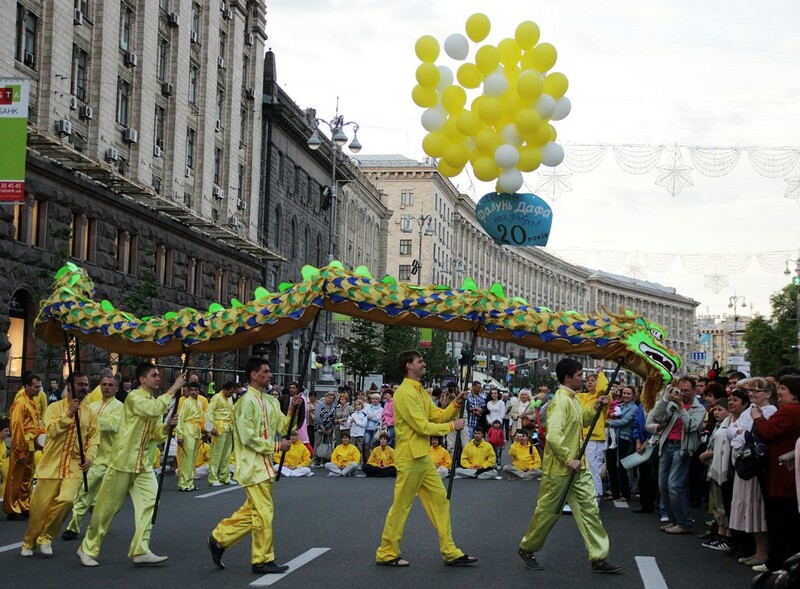 The celebration started in downtown Kiev on the evening of May 26. It happened to be a local holiday “Kiev Day”. A huge crowd of people were on the square. 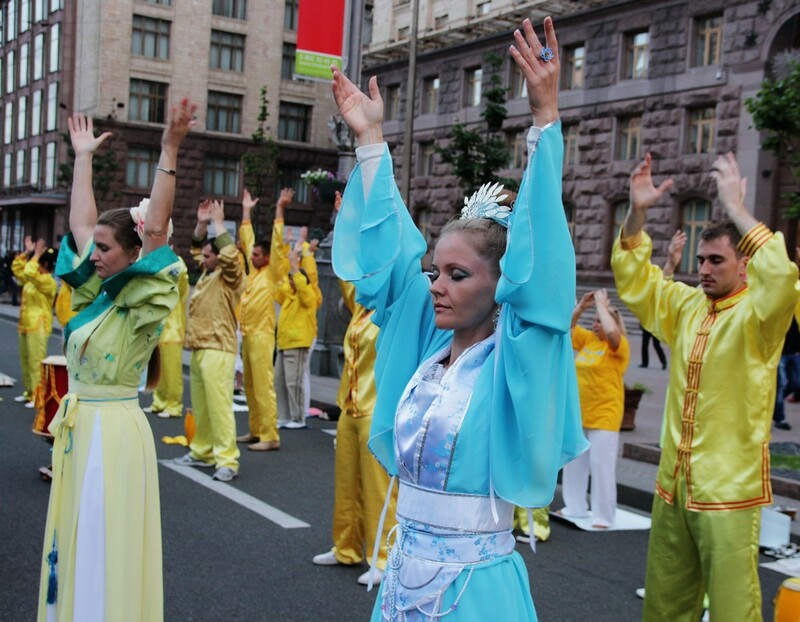 Hundreds of Falun Gong practitioners in Chinese dresses did Falun Gong exercises to beautiful music. Some played joyful waist drums. 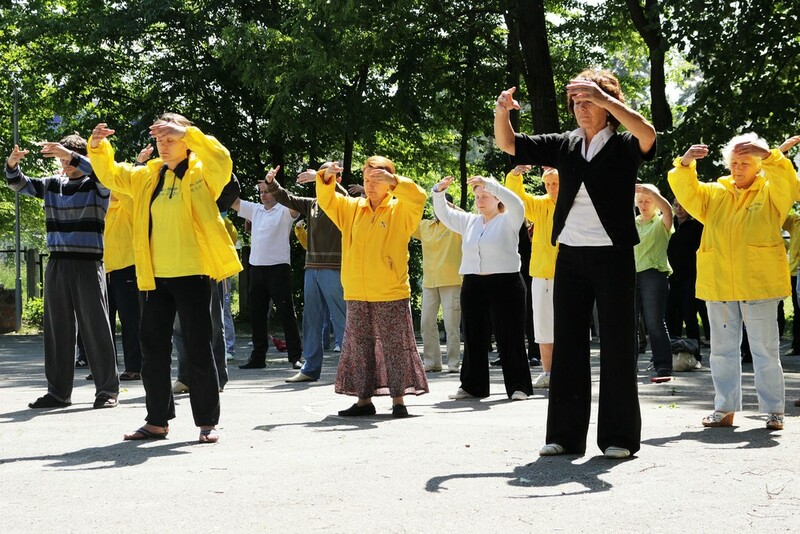 Some distributed newsletters about the benefit of practising Falun Gong. 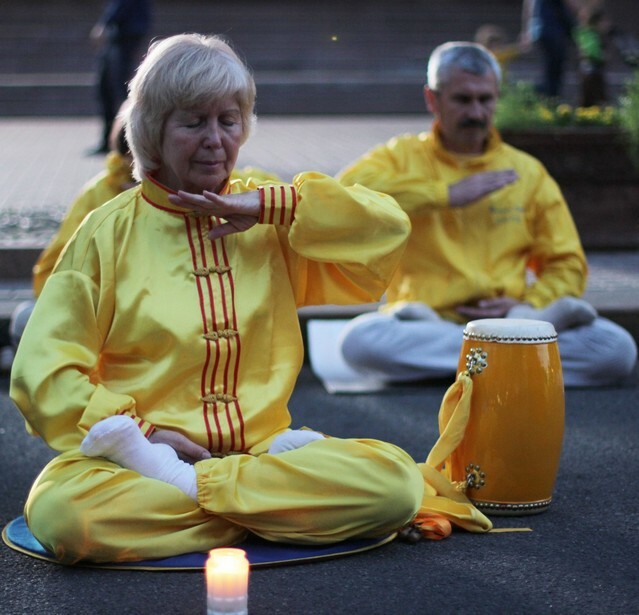 Falun Gong practitioners also gave traditional Chinese performances like dragon dance, lion dance and Tang Dynasty dance. Some Ukrainian practitioners wore their traditional ethnic garb. It was a splendid-looking scene. 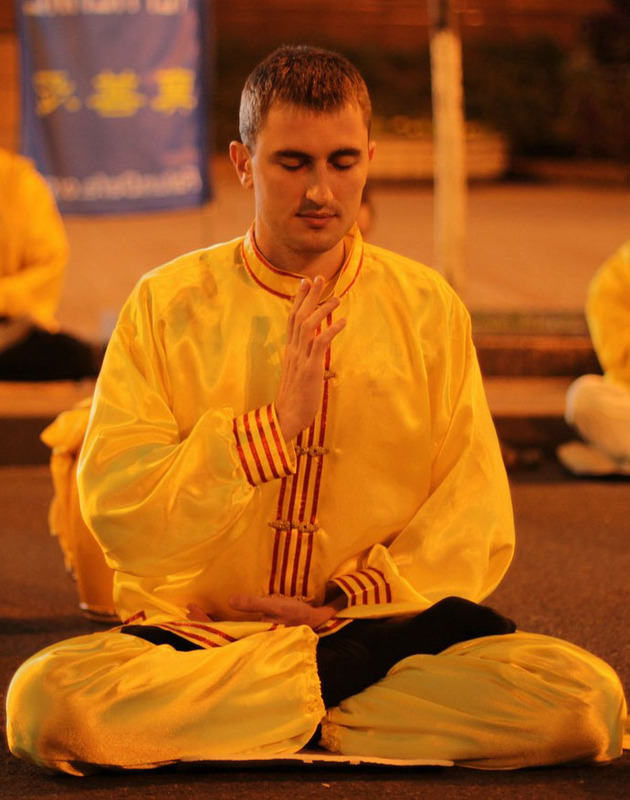 Spectators were fascinated by the celebration, and many of them took pictures with Falun Gong practitioners. 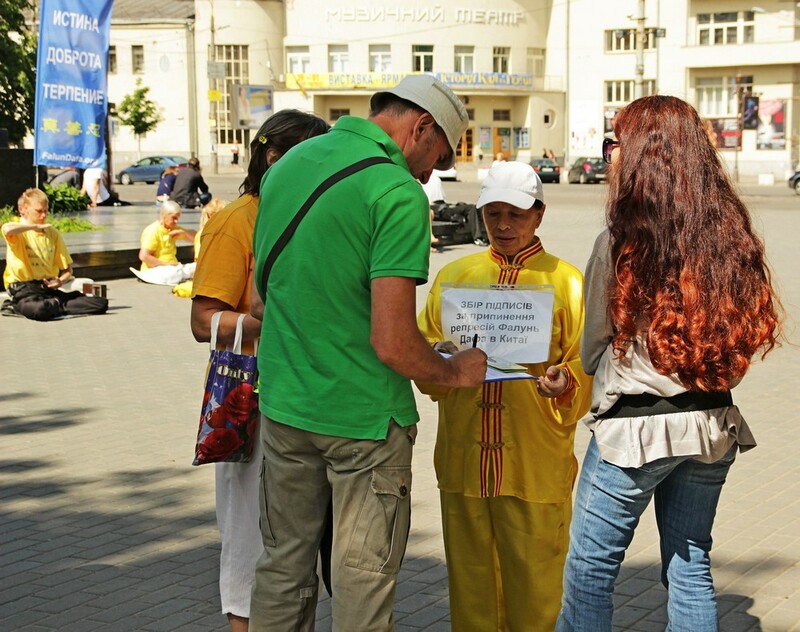 Many wanted to learn more about Falun Gong and signed to call for an end to the persecution of Falun Gong in China. The activity reached the best moment when balloons printed with “Falun Dafa Is Great” and “20th Anniversary of Falun Dafa's Public Introduction” flew up to the sky. 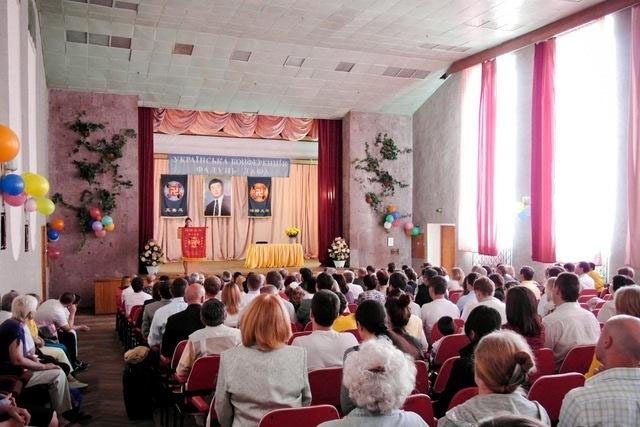 The three-day Falun Dafa experience-sharing conference successfully concluded on May 27. 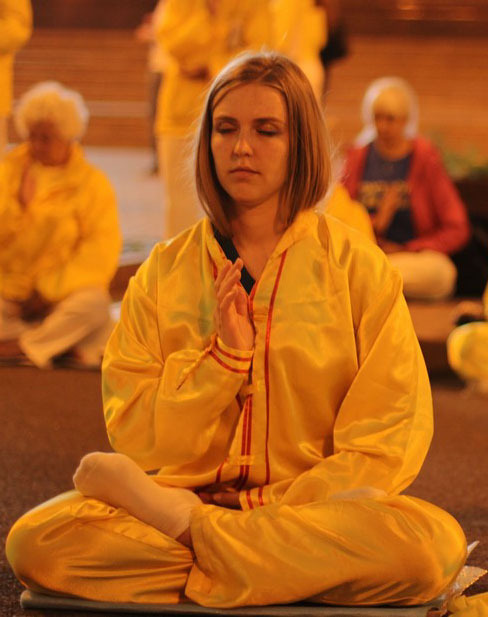 Twenty-two Falun Gong practitioners shared their experience of cultivation, including some new practitioners. Anna from Kiev shared her experience of helping Chinese people quit the CCP. She had been to student dorms and Chinese restaurants to help people quit the CCP. One time when she ate at a Chinese restaurant, she stood up and talked to all the people in the restaurant about how important it was to quit the CCP, and every Chinese person there decided to quit. She realized that it was getting easier and easier for Chinese people to make this decision.